Enter the word you are looking for. 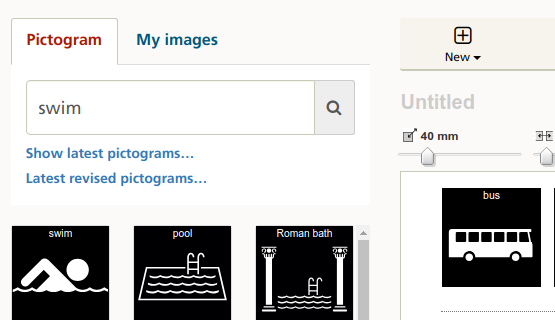 In the search results you will see the image you were looking for, but also other related pictograms. You can also search for category images by typing the word "category". At My images you can upload your own pictures that you can use in your documents. 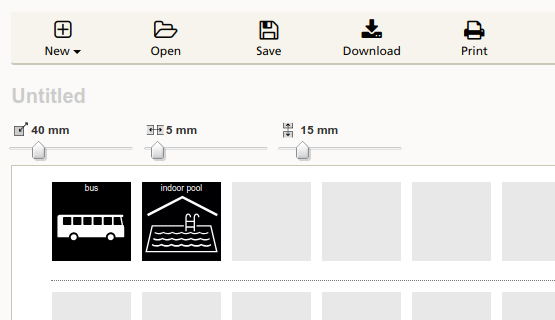 On the Download page, you can download single pictograms or multiple at a time by creating a list. You can download the images in different languages, with or without text and also as negations. 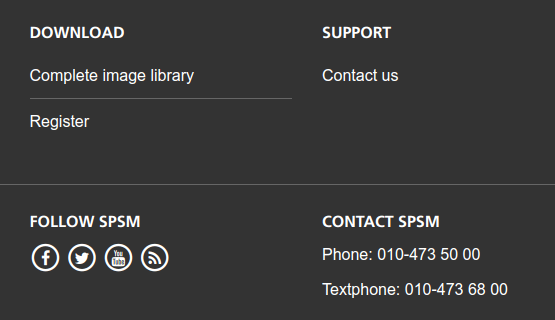 The pictograms can be downloaded in jpeg, png, eps and svg image formats. You can choose multiple types of documents. 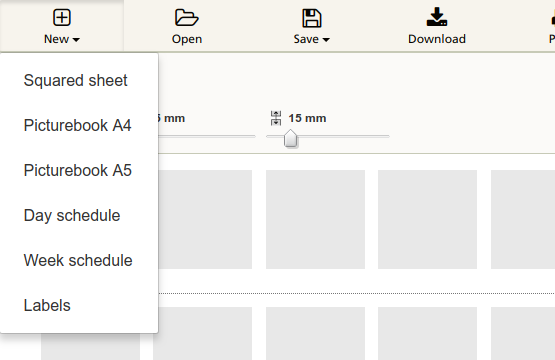 Click New and choose the type of document you want to work with: Squared sheet, Picturebook A4, Picturebook A5, Day schedule, Week schedule or Labels. Each document has different types of settings such as image size, number of rows, or page layout. You can also download the complete image library to your computer. You do this when you want to use pictograms with other editors. The link to the download page can be found in the footer. 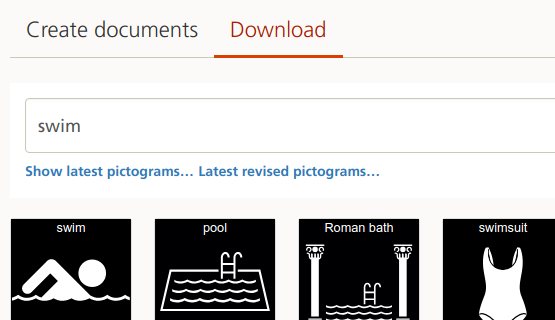 The image library is updated four times a year with new pictograms.